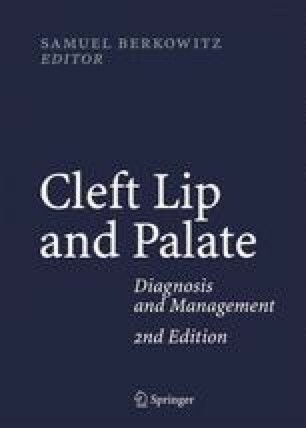 In this chapter, we introduced three new orthodontic and orthopedic techniques and one surgical distraction osteogenesis for the management of maxillary deformities in growing unilateral and bilateral cleft patients. These techniques are the effective maxillary orthopedic protraction for correcting a hypoplastic maxilla and minimizing alveolar cleft, premaxillary orthopedic intrusion for correcting a downward displaced premaxilla, premaxillary orthopedic medial repositioning for correcting a lateral displaced premaxilla, and interdental distraction osteogenesis for approximating a wide alveolar cleft. These techniques utilize principles of distraction osteogenesis. The orthopedic approaches could be a form of sutural expansion or protraction osteogenesis, and their treatment effects are mostly orthopedic and partly orthodontic. The interdental distraction is a form of callus distraction osteogenesis. The clinical and radiographic evaluations have revealed their successful applications for solving maxillary deformities in growing cleft patients.